A Dallas tradition for more than a decade, Autumn at the Arboretum is one you can't miss and you have 29 days to make it happen! This year's theme, "Art of the Pumpkin," explores shapes and designs naturally found in nature. Look for swirls and shooting stars throughout the village during your visit now through Nov. 25! The idea comes to life thanks to the Arboretum's horticulture team, who work together to come up with a theme for the annual event as well as put together design ideas for how the village will look. 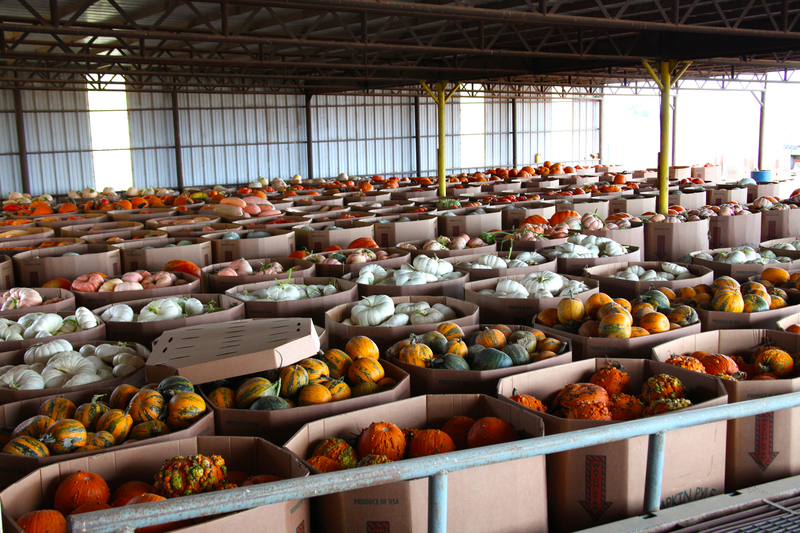 Then, they head to Floydada, Texas, about five hours west of Dallas, with a mission: find the best pumpkins, gourds and squash to make the pumpkin village come to life. 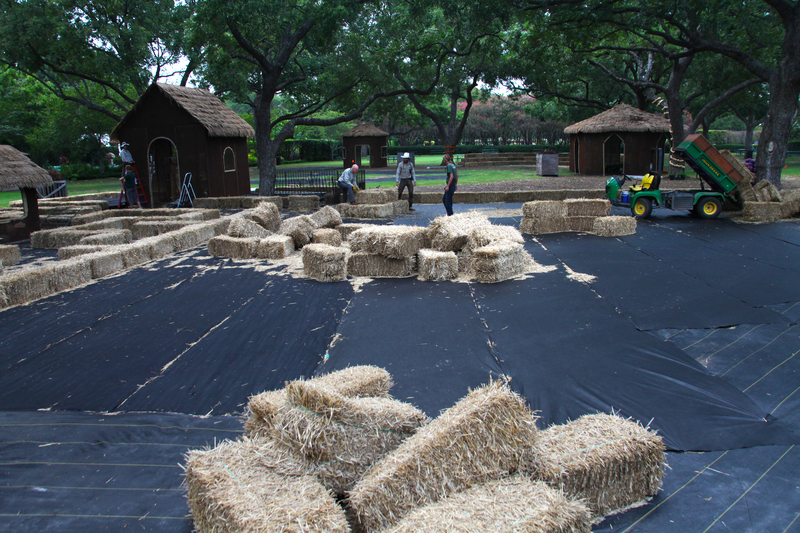 It takes 3-4 weeks to completely transform the space at the Arboretum into the pumpkin village we know and love. A team of 48 workers puts in the hours to make it happen, often working in an assembly line to move the pieces quickly into place within the overall design. 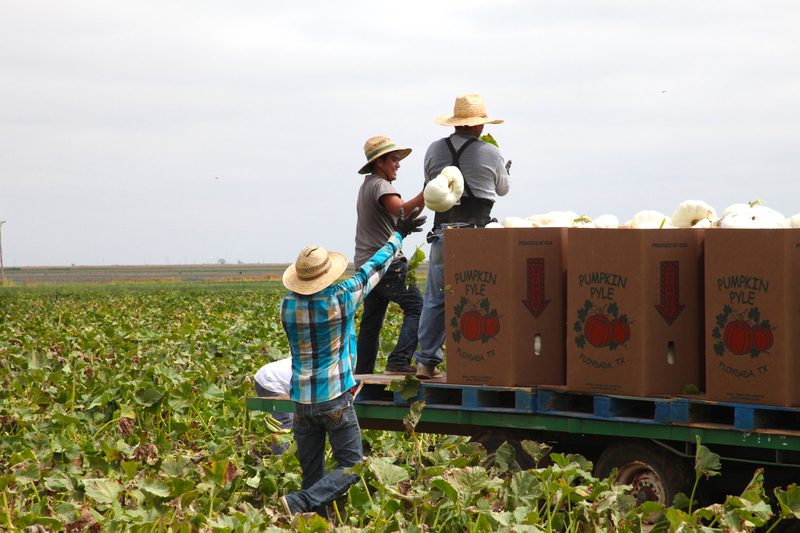 Not only do pumpkins need a home, but more than 1,500 ears of corn, 1,200 corn stalks and 900 bales of hay also need to be put in place. A little rain won't stop the fun! Since the entire village is exposed to the elements during the nine-week exhibit, sometimes it needs to be touched up. Replacement pumpkins, gourds and squash are on stand by to make sure the designs and displays are always in top-notch shape. After the exhibit concludes, those pumpkins certainly don't go to waste. While the majority of them are turned into mulch used throughout the Arboretum's gardens, some are also donated to the Gourd Society to make instruments and other decorations. So while the pumpkins may disappear to make room for the December holiday exhibits, they don't go far!